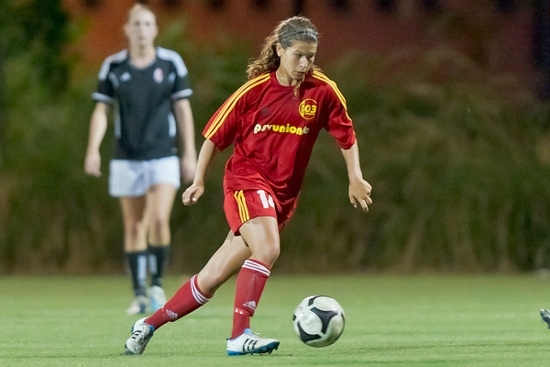 USC Bound PSV Union FC player Dana Schwartz talks about her player development, thoughts on PSV Union FC and advise for younger players. What made you choose USC? Did you have any other offers and interest. Ever since I first began researching schools, USC was my top choice because of its great soccer program and prestigious business program. After visiting the campus and speaking with the coaches I could easily envision myself fitting in perfectly and enjoying everything the school has to offer. I was in contact with several other schools but felt USC was the best decision for me. How did you get 'seen' by USC? I got seen by USC when PSV Union set up for head coach, Ali, and assistant coach, Trevor, to come to Palo Alto and run a clinic. Since then they have also seen me play in several practices and even saw me play in a game with our boys team. I would describe myself as a central midfielder that likes to possess the ball with my teammates and link up with them. I am both an attacking and defensive player and love orchestrating the play. I am also currently working on improving my technique, attacking more aggressively, and becoming more dynamic as a player. I have been at PSV Union since the summer before beginning my freshman year but I regret not joining sooner. At PSV Union I have definitely grown as both a player and person, and I appreciate everything I have been taught there. I train every day. I have team practices four times a week and then participate in at least one small group a week. On days I do not practice with Union, I train on my own, usually practicing various skills that were shown by the coaches during practice. This includes Coervers, skill ladder, variations of juggling, variations of striking, and a large range of different controls. We usually have one or two games in a weekend, and if not, we have a training game within our club. In our trainings at PSV Union we work on many aspects of the game-dribbling, controls, shooting, passing, and understanding the game. We place importance on details and always strive to continue to improve every day. Our trainings are always competitive and of high intensity to ensure we are prepared to use what we learn in practice during games. There are definitely many good young players coming through the club. I am impressed by their skill and training habits and know that if they continue to work hard at PSV Union, they will become great players. Most of my best experiences in soccer have occurred while practicing with PSV Union at Jordan Middle School. I will always remember staying an hour after practice playing small-sided games until it became dark because no one ever wanted to leave. I will also remember Thursday nights small groups and being competitive with my teammates about who could consistently score the best goals. Furthermore, traveling to England with my club was an amazing experience. I loved watching the professional games, practicing with my team, and playing games there! I would like to continue to develop and grow as a player and I am extremely excited I get the opportunity to do this at USC. 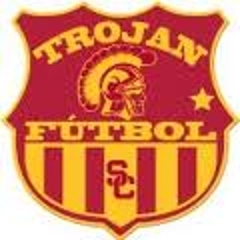 My current goal is to arrive at USC in my best form and to be able to contribute on the field. My advice for players that wish to pursue soccer in college is to continue to work hard and place great importance on the quantity and quality of training. It is crucial to identify weaknesses and then work to improve them. One of the things I recommend doing that I believe helped me was writing down things I need to improve after coming home from practices and games. I love watching Barcelona play because I learn so much. Their possession, decision-making, technique, and hunger to win the ball back after they lose it, always remind me how much I love soccer and how much I have left to learn as a player. My favorite player is Xavi because of his amazing vision and his extraordinary ability to create plays and influence the game. The greatest influence I have had as a player are definitely my coaches Carine and Gary Ireland. Without them in my life, I definitely would not be half the player I am today. The incredible amount of time and effort Carine and Gary put into helping and supporting myself and my teammates is unbelievable. Every day Carine and Gary teach me invaluable lessons that can be applied both on and off the field. They have taught me the importance of being driven, being competitive with myself and others, and pursuing my dreams. I am extremely grateful at the amazing opportunity I have been given to learn from them by playing with and against them every day in practice, learning about the game from them, and being shown countless skills to work on. Both Carine and Gary have had soccer careers that many only wish to achieve and I hope to one day follow their paths by making a difference on my college team and playing professionally. Carine and Gary have truly instilled a passion for soccer in me and have inspired me to always strive to do my best. 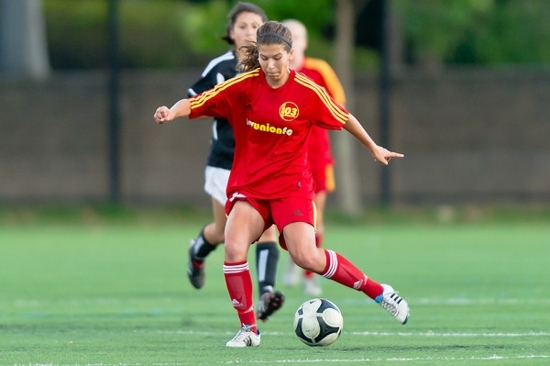 "Union has contributed to my development by providing countless opportunities to work on my game. Practices are very beneficial because they are a place where I am introduced to new concepts and drills, which I can then refine when I train on my own. Playing with and against the coaches has been one of the greatest contributions to my development because they demonstrate by example and they have high expectations for people they play with. Furthermore, the coaches have helped me understand the game much better through post-practice and post-game discussions, by watching and analyzing professional games, and through corrections while playing." "PSV Union is a unique club because it places emphasis on small but important details of the game. In addition, PSV Union is different from other clubs because of the crossteam training it provides. Younger players have the opportunity to train and play with older players, and girls have the opportunity to play with and against the boys teams as well." "I believe the club's philosophy regarding player development is to develop players from a young age by educating them about the game and teaching them crucial skills. The coaches believe that players who are not the fastest or strongest can still be great players by becoming exceptional in another areas of the game. Another part of the club's philosophy is that it may take a long time before desired results are visible, but as Long as players continue to work on the harder but crucial parts of the game like passing out of the back under pressure instead of just kicking it long, they will be successful inthe future. The coaches believe it is more important for players to develop by playing correctly than by playing to win. I believe my team, the 94G, is a great example of this because we progressed from being the lowest division of class 3 to becoming one of the best teams in Northern California." "Over the past several months, Carine and Gary have helped me identify my biggest weaknesses and I having been working to overcome them every day at practice. Specifically, playing small-sided games throughout winter has been extremely beneficial to my improvement because I am involved in every play and I get a lot of touches on the ball. Playing against Carine, Gary, Veronica has been an important factor to my improvement because playing with them forces me to make much quicker and smarter decisions on and off the ball." "I train every day. I have team practices four times a week and then participate in at least one small group a week. On days I do not practice with Union, I train on my own, usually practicing various skills that were shown by the coaches during practice. This includes Coervers, skill ladder, variations of juggling, variations of striking, and a large range of different controls." Q. What kind of Player do you Need to be to Join Union? What attributes would you need to possess to be a player PSV Union coaches would be interested in coaching? "To be a member of PSV Union, it is crucial that players are passionate about soccer and are willing to work hard. All players must be dedicated and have a desire to improve."